Diabetes is a disease in which the body does not produce or properly use insulin, a hormone that is needed to keep blood glucose (sugar) levels normal and convert glucose, starches and other food into energy needed for daily life. Routine screening, along with appropriate type 2 diabetes management, could impact the lives of millions of people, a group of prominent diabetes researchers say. Writing in the Sept. 23 online edition of the journal Diabetes Care, authors Lawrence S. Phillips, MD, Atlanta VA Medical Center and Emory University School of Medicine, Robert E. Ratner, MD, American Diabetes Association, John B. Buse, MD, PhD, University of North Carolina School of Medicine and Steven E. Kahn, MD, VA Puget Sound Health Care System and University of Washington School of Medicine, assert that by finding and treating prediabetes and early type 2 diabetes when they first present, doctors could help prevent or delay the progression of this common chronic disease and the development of its complications. "Diabetes is generally diagnosed and first treated about ten years later than it could be. We waste this critical opportunity to slow disease progression and the development of complications," says Phillips, lead author of the journal's "Perspectives" article and a longtime diabetes physician. 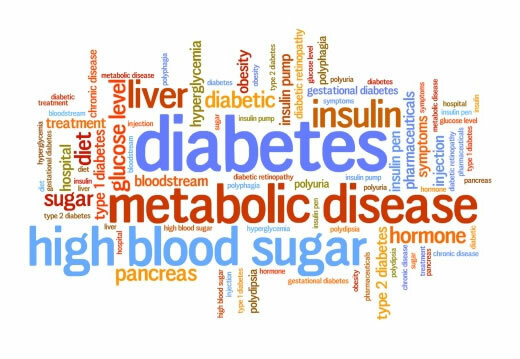 Diabetes is a disease in which the body does not produce or properly use insulin, a hormone that is needed to keep blood glucose (sugar) levels normal and convert glucose, starches and other food into energy needed for daily life. Prediabetes is a condition that occurs when a person's blood glucose levels are higher than normal but not high enough for a diagnosis of type 2 diabetes. Complications caused by sustained high blood glucose, such as blindness, kidney failure, leg amputation and blood vessel problems, are the major causes of poor health in people with diabetes. According to the authors, evidence for this comes from clinical trials where lifestyle change and/or glucose-lowering medications decreased progression from prediabetes to type 2 diabetes. After withdrawal of these interventions, there was no "catch-up," meaning cumulative development of diabetes in the previously-treated groups remained less than in controls. Moreover, achieving normal glucose levels even briefly during the trials, was associated with a substantial reduction in subsequent development of type 2 diabetes. Based on such evidence, the authors say that current management should change in two ways. First, adults should be screened systematically to find prediabetes and early type 2 diabetes. And second, patients who are likely to benefit from treatment should have management aimed to keep their blood glucose levels as close to normal as possible, without hypoglycemia (blood glucose levels lower than normal). Phillips says a randomized, controlled trial would be a logical next step to prove their hypothesis. Diabetes affects hundreds of millions of people around the world and is the basis for one out of every nine health care dollars spent in the United States. The Diabetes Care article, "We Can Change the Natural History of Type 2 Diabetes," will appear in the October edition of the print journal.